Now I need to make these cookies and I'm all out of chocolate chips (from making chocolate chip banana bread and chocolate chip cookies). 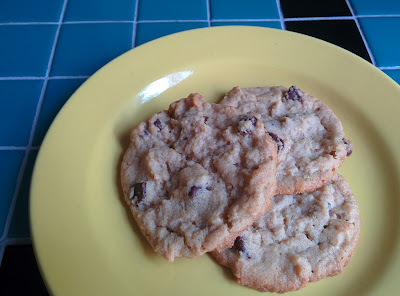 Must remedy the chocolate chip situation immediately! They would be great without the chips, too. I say don't let a lack of chips stop you. 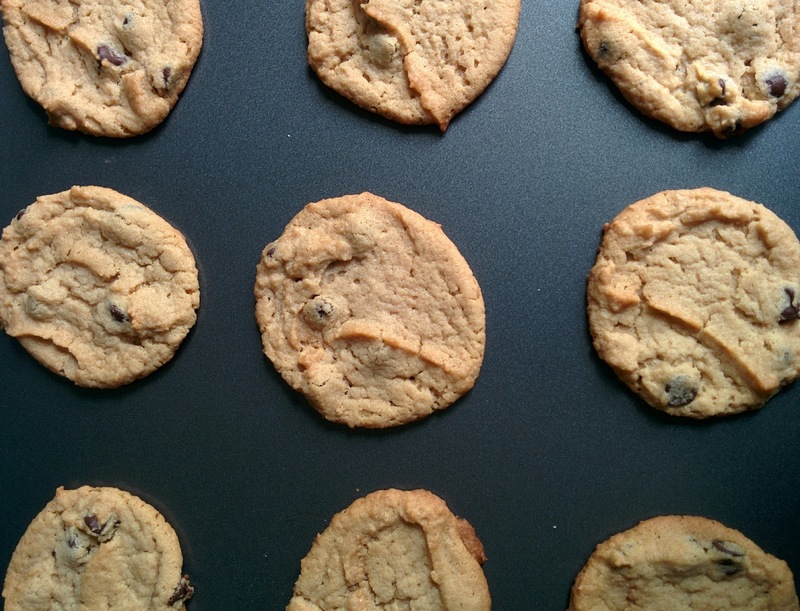 How funny that you get so many cookies out of a recipe (though I wouldn't be complaining!) I usually have less after eating all the mix along the way...oops. Ha! Come to think of it, when my son is in the kitchen "helping" then I do get a little bit closer to the actual number. I also usually end up with less. I just got this cookbook from the library. Looking forward to it! It's great so far and really simple ingredients, too. Sometimes when I'm looking through a cookbook, I realize I can't cook anything until I go to the store for special ingredients, but with this one, I can hardly narrow down what I want to make because I have everything on hand. These look tasty! 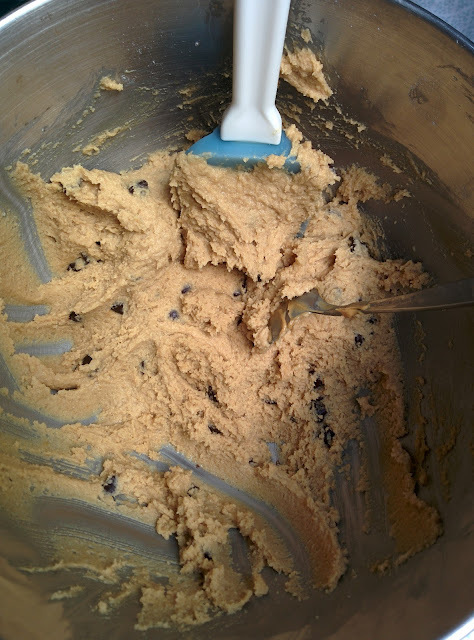 I usually end up with more cookies than I'm supposed to, even though I snack on the batter along the way. Maybe because I always go with extras on the nuts and chips? Not that I'm complaining! I think this might be my issue. I'm always like, "Why don't these have nuts?" or, "How is half a cup of chocolate chips anywhere near enough?" Ha. 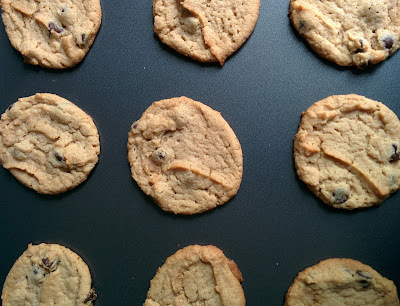 I need to make these, my husband loves peanut butter cookies. Warning: They disappeared very quickly!